Freddie Mercury performing in 1977. Queen, you might have noticed, is having what some call "a moment." This time, the resurgence of the theatrical, experimental British rockers is driven by Bohemian Rhapsody, the movie that's made a big pile of money and won some awards for its telling of the band's story. 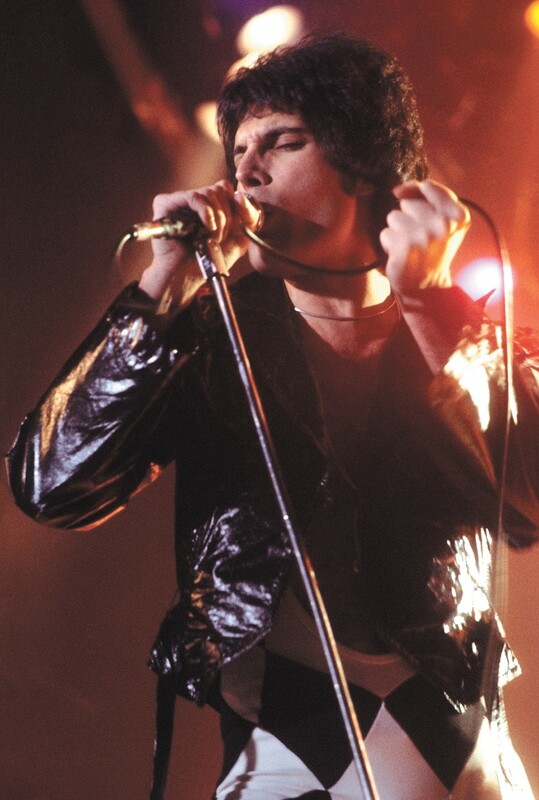 As in most things regarding Queen, most of the flick is focused on legendary frontman Freddie Mercury, he of the flamboyant stage presence, remarkable vocal range and dramatic overbite. The new spotlight on Queen also once again serves as a reminder of what remarkable musicians Mercury and his bandmates Brian May, Roger Taylor and John Deacon were, and how willing they were to push their sound in directions few of their classic-rock peers would dare. That was the first thing Martin Herman noticed when he was introduced to Queen's music as a kid. "I'm somebody who'd studied classical music, performed it, composed it and arranged it, and to hear this piece, this multi-sectional, quasi-operatic scope, I couldn't believe what I was hearing." He was hearing a song that would become Queen's calling card for decades after its release. But it's only one song in a sprawling catalog that's as noteworthy for its sparse, soulful piano ballads as it is for its bombastic slabs of multi-movement prog-rock. Queen was a band capable of tackling any musical genre, and did so with style and flash, whether you're talking rockabilly ("Crazy Little Thing Called Love"), metal ("Stone Cold Crazy"), funk ("Another One Bites the Dust"), pure pop ("Somebody To Love") or the opera/pop/classical mashup of "Bohemian Rhapsody." The hit movie is merely the latest reminder of Queen's excellence. Despite Mercury's death in 1991, their music has gotten renewed jolts of attention every few years beyond the constant presence of their hits on rock radio. May and Taylor spearheaded a rock musical, We Will Rock You, that ran for nearly 15 years in London's West End, and they've toured under the Queen banner with singers Paul Rodgers and Adam Lambert. And the Wayne's World movie in 1992 featured a memorable scene soundtracked by "Bohemian Rhapsody" that drove the old hit, originally released in 1975, soaring up the charts. Since 2009, Windborne Music has put together symphonic tours of the Music of Queen, using charts written by Brent Havens, in which a touring rock band joins local symphonies in performing songs from a wide array of Queen albums. Herman says the arrangements make for an ideal melding of rock show and symphony performance. "They really take advantage of the color of the orchestra in a way that is expressive but not overbearing," Herman says. "It compliments what the band is playing and what [singer] Brody [Dolyniuk] is singing really artistically and musically. The colors and the writing for the horns and the writing for the strings, they have their own identity. It's not just a simple matter of laying down the chords and letting everything happen over them. They're actually involved in the dialogue with the band and with Brody, there's a full dimensionality." Dolyniuk was working in the Las Vegas music scene when Windborne contacted him to audition for the Music of Queen show 10 years ago. And while he considers himself a pretty devout Queen fan "and a student of Freddie Mercury and his vocal stylings," he says he was a little late to the Queen game growing up. "I didn't have any older siblings, so I missed out on the benefit of having an older brother saying, 'Here, take my record collection and check out [Queen's 1976 album] A Night at the Opera,'" Dolyniuk says. "I was a little bit of a late bloomer to the early catalog. I remember hearing 'Crazy Little Thing Called Love' on the radio, that was the first thing I identified with them." Now, of course, Dolyniuk knows much of the Queen catalog inside and out, and he appreciates the new urgency old songs get both when fans see them on the big screen in a new movie, and when they hear them in a symphonic arrangement when he's on stage. Performing Queen's songs with a symphony, Dolyniuk says, "the sonic palette is much bigger. Having the lush strings or big brass augmenting the songs brings new life into it. The original print version of this article was headlined "They Will Rock You"